Though Execution Dock is long gone, this gibbet is still maintained on the Thames foreshore by the Prospect of Whitby public house. Much of the action of my newest Austen-inspired novel, The Prosecution of Mr. Darcy’s Cousin, is set in Wapping. But what do we know of the area? Wapping is a district in East London, in the Borough of Tower Hamlets. The north bank of the River Thames and the Highway (formerly called the Ratcliffe Highway) border the area. The Nazi bombings of England during World War II destroyed many of the original buildings. The Saxons were the area’s first settlers. The settlement came together between the River Thames and Wapping Marsh. The people held a strong maritime history. Boat makers, sailors, and seafarer trades were those who thrived in the area. Construction and repair of ships became the source of employment. Hangings of pirates and thieves were common in the area. Only after the gallows were moved farther down river did the area develop for many thought the ghosts of those killed upon the gallows haunted the land. Tower Hamlets lies east of the ancient walled City of London. During the 19th Century the population grew, made up of the poor and of immigrants. Villages clustered about London proper and along the main roads. Other areas of note are Shadwell, Poplar, Limehouse, and Ratcliffe. They all receive mention in the book. The streets often twisted in upon themselves. 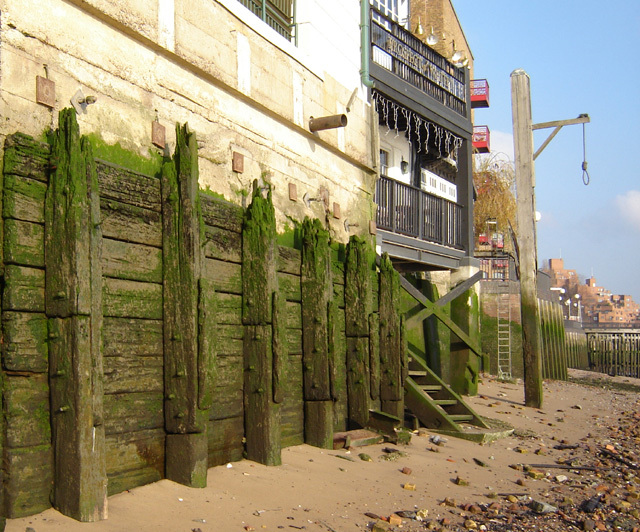 Pelican Stairs, King James’s Stairs, Wapping Stairs, and New Stairs led down to the shoreline. The Thames served as the south border. The river brought the world to London’s doors: tea, muslin, spices, sugar, rum, coffee, cocoa, tobacco, etc. Sailors of all nationalities filled the streets of Wapping and the adjoining areas. More than 13,000 vessels claimed the docks of London. Before 1805, there were no such moorings, and the ships were subject to thieves. The losses during those early years were estimated as 500,000 pounds a year. The smell was notable: the filth of so many living in close quarters and the filth of the Thames made the area not for the faint of heart. Inhabitants included rope makers, candle makers, marine storekeepers, rat catchers, seamstresses, brothel keepers, stevedores, sailors, bakers, butchers, keepers of public houses, lodging owners, boat builders, instrument makers, pawnbrokers, pirates, and publicans. Sailors lodged in cheap houses near the river, often 4-5 to a room. They all came to the greatest city on earth at that time seeking their fortunes. 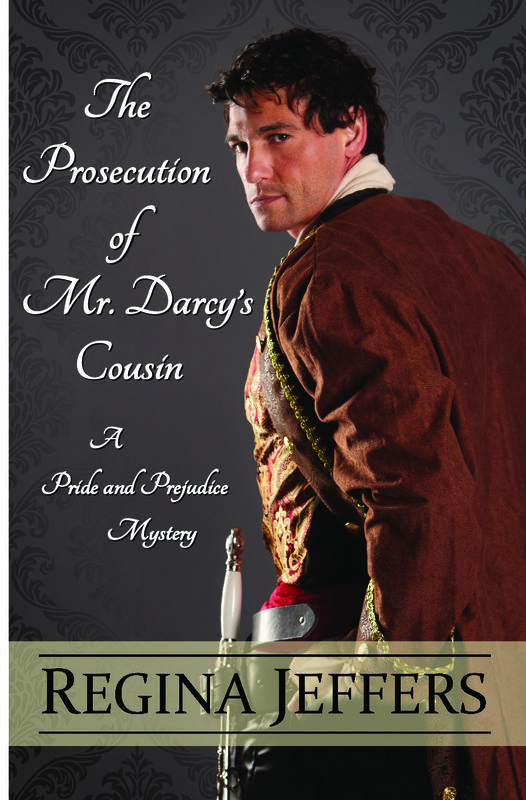 LEAVE A COMMENT BELOW TO BE PART OF A GIVEAWAY OF 2 eBOOK COPIES OF “THE PROSECUTION OF MR. DARCY’S COUSIN.” The giveaway ends at midnight EDST on 28 June 2015. Darcy stared hard at the building where the women resided. In hindsight, he wondered if he should have accompanied Cowan. At the time, Darcy thought his friend meant for Darcy to prevent an escape from the shop’s front, but on second thought, that idea made little sense. He doubted anyone with murder, as his intent, would risk meeting a locked shop door in his retreat. More likely, Cowan considered Darcy’s divided allegiance a detriment. He could not blame his friend: All Darcy wanted was to hold Elizabeth in his embrace and never permit her from his sight again. The “theatre” surrounding his extended family exhausted Darcy. As unreasonable as it was to think, he wished all involved to Hades, as he cursed the sense of duty instilled in him from the time he was a wee lad. “I should be seeking my wife and sister rather than staring into the dark pit of London,” he murmured in quelling accents. He scowled with sudden keen-eyed interest when a noise from further up the street caught his attention. Shaken, Darcy slunk into the shadows, keeping his presence hidden. His heart lurched with anticipation–the noise was that of footsteps. Decisive, but muffled footsteps. A night watchman, Darcy’s mind announced, but there was something different about the man who strode along the wooden walkway. Moving fluidly. Younger. And almost wary. Most who assumed the civic position were in their later years, Darcy thought. As the man drew nearer, Darcy pressed his back to the building’s side. His heart stuttered to a halt when the cloaked figure paused before the small shop to survey the area. Where life teemed on the street upon which he and Cowan left their horses behind, Darcy realized how quiet this one appeared. Other than the man across from him, no one could be noted. Without conscious thought, Darcy filled his lungs with the stagnant air as he studied the figure. There was something very familiar about the man’s stance: commanding, in control, broad shoulders and a recognizable physical stature. The stranger turned his head to scan the area a second time, as a hundred questions filled Darcy’s mind: Was this their murderer? The East Side Slayer? Had this enigma used the guise of a night watchman to gain entry into the other homes? Darcy wished he possessed a closer look at the stranger’s countenance—to look upon evil, but the cloak served its purpose in disguising the man’s features. Why a cloak? True, it was a cool night as it was the first of November, but not so cold that a long cloak would be required. The spider’s web of deceit associated with Fitzwilliam’s arrest began to make the necessary connections. Threats they overlooked. The violence of the attacks. Darcy’s mind spun with the possibilities. Nothing made sense; yet, his logical nature shunned the impracticality of not discovering a solution. Fitzwilliam’s enemies followed his cousin to England’s shores, and until this very moment, Darcy held no indication of who they might be. Yet, one thing was for certain, the major general’s enemies did not deal in small deaths. However, Darcy heard no sounds of a struggle bursting forth from the noiseless street. Had the stranger subdued his friend? Should Darcy send up a warning? Could Cowan be lying in the alley’s dregs, the former Runner’s throat sliced from ear to ear? Or did the night watchman note Darcy’s presence and now waited for Darcy to follow in order to quash his curiosity? Darcy’s fingertips dug into the building’s soft wood, as he attempted to quiet the rising panic claiming his breathing. No one tutored him in such wickedness: He remained a novice in the stratagems Thomas Cowan embraced. Fear rolled through Darcy’s limbs, which hardened, inch-by-inch, securing his body to the wall. He could not move—could not make a sound. Could not swallow. Even so, his eyes never left the place where the cloaked stranger entered the alley. He searched for any sign of activity. “Move!” his mind ordered, but Darcy’s body would not respond. Dread held him impaled by its grasp. Yet, the sound of broken glass and a shriek of surprise freed his feet and set them into motion. This entry was posted in British history, Great Britain, Jane Austen, Living in the Regency, Regency era and tagged excerpt, giveaway, Jane Austen, maritime, mystery, Pride and Prejudice, Regina Jeffers, Shadwell, The Prosecution of Mr. Darcy's Cousin, Wapping. Bookmark the permalink. All the evidence points otherwise, Vesper. Thank you for explaining all about the Wapping area. It clears some things up in my mind since I have already read the novel. Do not enter me into the giveaway! When writing a novel, it is difficult to find the “teaching” moments and not smother the reader with too much history. I am all about history and learning. I have been a big history buff all my life. Sorry to change my mind but I do have the ebook but would love to be entered for a paperback one as I have all your other novels in book form. Wow! This is a really new twist on Fitzwilliam, most stories have him as the perfect match for Georgianna. I can’t wait to read more and see how it develops and turns out. I, too, believe he is the perfect match for Georgiana, but a marriage always has its bumps and bruises. Happiness comes from surviving life together. This sounds intriguing, can’t wait to read it! Lovely excerpt. Who or what should Darcy be afraid of? Love the background on Wapping. He and Cowan track the East Side Slayer. The question is whether the “slayer” is another or his cousin. You may not worry so much for the evidence, but the good citizens of London will, Anita. I didn’t know that the residents were afraid of ghosts, but it sure makes sense. What a horrible and smelly environment. I wonder why they didn’t build moorings sooner. Thank you for the preview, Regina! It was a more “diverse” place, Jette. I won a copy already so don’t enter me but wanted to pop in and say hi. I can’t wait to dive in and see what mystery you have for us and Darcy’s cousin. Congratulations! It has been a wonderful release year from you and I am loving it! Thanks for the kind words, Becky. Darcy is built for protection.